In the 1920s, Cora volunteers to chaperone young and willful Louise on a trip from Kansas to New York City so Louise can tryout for a distinguished dance company. It’s a time of intolerance—of alcohol, of jazz, of short skirts, of bobbed hair—and Cora who (mostly) agrees with this intolerance tries to instill morality into Louise. However, it is Louise Brooks (a future famous silent film star) who ends up teaching Cora a thing or two about tolerance and acceptance. Most of the book follows their journey to and in New York City. Cora, whose orphan beginnings are shrouded in doubt, is searching for the truth of who her parents were. In her investigation in the city she meets some interesting characters that help open up her worldview. While most of the Kansas storyline is dull, author Laura Moriarty does a fairly succinct job of providing the pertinent background information needed to create these fully realized characters. She also does a great job capturing the spirit of the era. It is very easy to picture New York at this time with her descriptions of the atmosphere and character of those who reside in it. And the New York section of the book is by far the most compulsively readable part. However, the book strays into tedium in the last 100 pages. After the reaching the revelations we’ve been expecting our characters to attain, the story drags out. Moriarty jumps through time to provide quick glimpses of what happens to the character in the next 60 years of their lives. Aside from a heartfelt reunion scene between Cora and Louise, there is little of interest in the snippets of scenes here and there; and they feel like a repetitive rehashing of Cora’s expanding change of morals that we have already learned from the first part of the book. 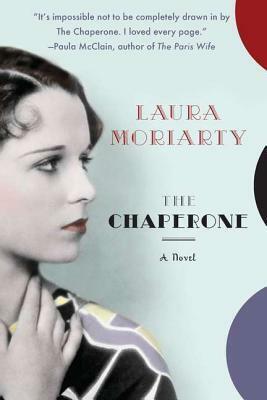 Moriarty has crafted a great story and setting, a fully imagined world. It is definitely a treat reading parts one and two, but avoid the third part. Instead, put down the book and you can easily imagine how well things might work out for the characters after seeing what choices they make in New York. 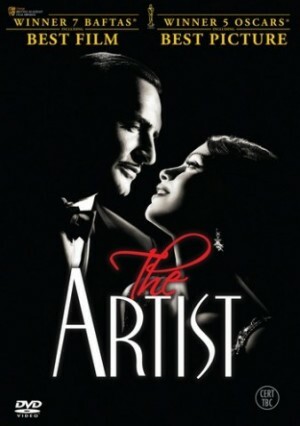 The critical darling The Artist, is a silent film about silent films. Writer/director Michel Hazanavicius wanted to pay homage to that era of Hollywood and he certainly succeeded. The film follows two actors in Hollywood during the late 20s as they deal with the rise of talkies in a world that has been silent. The plot itself is fairly simple. George Valentin (Jean Dujardin) is the big silent film star at Kinograph Studios. But, with the creation of talkies, he finds himself quickly replaced by “fresh meat” like rising star Peppy Miller (Berenice Bejo). George attempts to make his own silent film to prove that people still want them, but it inevitably fails when it’s released the same day as Peppy Miller’s new film. The stock market crashes; and George, finding himself unemployable, gives in to despair (despite the fact that Peppy tries to help him). The story itself feels holds few surprises, but it is strong enough to hold the film together. However, it is the style of the film that the director was more concerned with. He wanted to use as few intertitles as possible, so as not to distract the audience. Thus, the story could not be overly complex. And, with a limited use of intertitles, he often uses them for comedic effect. The symbolism in the film, though, is a bit overdone. George’s failed silent film ends with his character sinking in quicksand, an all too literal portrayal of the depression he sinks into thereafter. But Hazanavicius utilized other symbols in the film to better effect. He incorporates sound into a few scenes for dramatic and symbolic effect that work wonderfully. The take the audience (and characters) by surprise and add a special dimension to the film that the original silent films could’ve never had. The acting in the film was truly great. Dujardin does a wonderful job as George. He really strikes you as the movie star he is playing. His comedic scenes in the first part of the film are done splendidly and make a nice contrast for his dramatic work in the later parts of the film. In most of his scenes, however, his acting is overshadowed by the adorable Jack Russell terrier that follows him everywhere (and later has a very important role to play). Bejo’s Peppy grows as a character as well. She almost forces her way to the top, and then tries to use her influence to make George happy. There’s a yearning for George you can see in her eyes. There are plenty of sparks flying between George and Peppy in the beginning of the film, but somehow they get lost in the drama that comes later and they never seem to regain their full romantic force. The romance in their relationship is brought up at first and then never fully resolved, which is the only really disappointing aspect of the film. Overall, the film appeals to a wide audience, and it is one of those films about Hollywood that reminds you why you fell in love with movies. I was neither surprised nor disappointed that it took home the Best Picture Oscar. 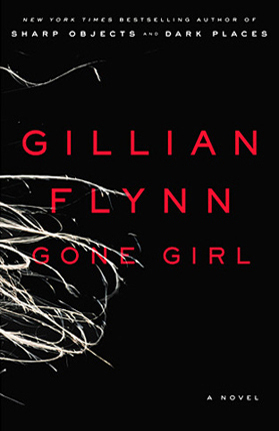 The line, “I’m a big fan of the lie of omission,” (said by possible wife killer Nick) perfectly sums up author Gillian Flynn’s writing in Gone Girl. Her prose style is compulsively readable and enjoyable, but the reader is quick to learn that not everything is as it seems. Flynn has packed enough unpredictable twists and turns into this genius novel to keep any reader full engaged to the very last page. The story opens with Nick discovering that his wife has gone missing. Quickly the police are involved and all the clues seem to point to Nick as the culprit. As we follow Nick’s attempts to find his wife (did he really kill her? ), we also follow her diary entries from the previous years that tell the story of her and Nick’s relationship. Amy comes off as a great wife who has recently been stuck in a souring relationship (but did Nick really kill her?). It’s not long before we realize that we can’t trust Nick (he tells us in almost every chapter that he’s lying about things), but there is also something that doesn’t quite sit right with Amy’s narrative either (and when you start part two, you’ll know why). Flynn has created two deeply flawed characters that you concurrently sympathize with and despise. Though this novel is classified as a mystery/thriller, it’s truly a character-driven story about a married couple at the darkest time of their lives. Flynn’s pacing and plotting of the story are perfect, always giving enough to advance the story but without revealing everything. She also has a gift for description that’s concise and incisive. This book is definitely one of the greatest books of 2012. I highly urge all of you to read it.